Thornton Law Firm has strengthened its nationally-known toxic exposure and birth defects practice with the addition of trial lawyer David Bricker, who joins the firm as of counsel. He was previously a partner with the Los Angeles office of Waters & Kraus, where he chaired their Birth Injury practice. The Firm is also pleased to announce the establishment of their new office, located at 9430 West Olympic Boulevard, Suite 400, Beverly Hills, California; telephone number (310) 282-8676; facsimile (310) 388-5316. 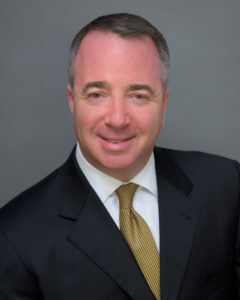 Mr. Bricker will manage Thornton Law Firm’s new California office. Mr. Bricker brings with him more than 25 years of litigation experience, having successfully tried complex cases in both state and federal court. Mr. Bricker’s fields of expertise include toxic exposure and birth injury litigation, asbestos exposure litigation, products liability litigation, professional negligence litigation, railroad liability, elder and dependent adult abuse, general business litigation and bankruptcy litigation. “David has been working with us on some of our asbestos mesothelioma cases over the last few years, and I look forward to having him as a permanent member of our team,” said Andrew Wainwright, who manages the firm’s asbestos trial practice. Mr. Bricker is admitted to practice law in the states of California, Illinois and Massachusetts. In addition, he is admitted to the Ninth Circuit Court of Appeals and the United States District Courts for the Northern District of California, the Southern District of California, the Eastern District of California, the Central District of California, the Northern District of Illinois, and the District of Massachusetts. He holds a J.D. from Tulane University School of Law in New Orleans, Louisiana, and a B.A. in Political Science from Pitzer College in Claremont, California. Thornton Law Firm was founded in 1978 by Michael Thornton doing groundbreaking work for victims of mesothelioma and other asbestos-related diseases. Now the leading injury law firm in Massachusetts and the largest plaintiff law firm in New England, the firm has 20 attorneys representing thousands of clients in a wide variety of plaintiff-side work. For four decades, Thornton Law Firm has fought the asbestos industry, the lead paint industry, the tobacco industry, manufacturers of dangerous chemicals, pesticide makers, big Pharma, big banks, and insurance giants. Thornton Law Firm was one of the first firms in the county to represent families of children born with birth defects caused by chemical exposures in the workplace, and has been instrumental in securing multimillion dollar recoveries for families with children who suffered serious birth defects from their parents’ exposure to chemicals and agricultural pesticides.